Fremont, CA – November 10, 2012 -- Telesis Technologies Inc., a world leader in manufacturing standard and customized coding, marking and engraving equipment announces the addition of the industry-leading distributor CRS Data Solutions to represent its laser, PinStampa®, and BenchMark® dot-peen systems and TeleScribe® scribe marking systems in Alaska, Idaho, Oregon, Washington, Wyoming, Colorado and Montana. Circleville, OH – November 10, 2012 -- Telesis Technologies Inc., a world leader in manufacturing standard and customized permanent marking and engraving equipment, presents the ELECTRIC AUTOSENSE, EAS Series of electromechanical pin markers developed specifically for 2-D code applications. This series of products include three marking systems: the TMP1700/470EAS, TMP3200/470EAS, and the TMP6100/470EAS. These dual stepper motor driven single pin markers are immediately available for commercial sale. Fremont, CA – November 10, 2012 -- Telesis Technologies Inc., a world leader in manufacturing standard and customized marking, coding and engraving equipment, demonstrates a unique commercial marking application for the wine industry. Fremont, CA – November 10, 2012 -- Telesis Technologies Inc., a world leader in manufacturing standard and customized marking, coding and engraving equipment, is proud to announce the appointment of Merrill Apter as the co-chair of the Optical Society Of America (OSA) Market Focus Program at CLEO for 2013 and 2014. Circleville, OH – September 10, 2012 -- Telesis Technologies, a global leader in permanent marking systems introduces the FQ30 Fiber Laser Marker based on the robust and field proven FQ10 and FQ20 systems, providing a higher power alternative for more demanding industrial applications. Circleville, OH – September 10, 2012 -- Telesis Technologies Inc., a world leader in manufacturing standard and customized marking and engraving equipment systems, announces the new TeleScribe® SS3700/470 marking system. This new servo motor driven continuous scribe marker will be first presented at America’s largest manufacturing show, IMTS 2012, the International Manufacturing Technology Show in Chicago, Illinois and is expected to be available for commercial sale starting Q4, 2012. Circleville, OH – September 10, 2012 -- Telesis Technologies, Inc., a world leader in manufacturing standard and customized marking & engraving equipment systems, announces the appointment of industry-leading distributors in Korea and Taiwan to widen its distribution network and continues to accelerate its growth. Circleville, OH – September 10, 2012 -- Telesis Technologies Inc., a world leader in manufacturing standard and customized marking and engraving equipment systems, presents the PINSTAMP® TMP4500/470E marking system. This highly portable hand held single pin marker will be displayed at America’s largest manufacturing show, IMTS 2012, the International Manufacturing Technology Show in Chicago, Illinois and is currently available for commercial sale. Circleville, OH – September 10, 2012 -- Telesis Technologies, a global leader in permanent marking systems introduces the EV-40 Laser Marker featuring a Q-switched Nd:YVO4 diode pumped, air-cooled laser design with high speed digital galvo scanner. The laser provides high quality laser beam characteristics including a long focal tolerance combined with high pulse energies (over 2mJ at 10KHZ) and high average powers allowing the EV40 to achieve high-speed, deep marking of metals or composite materials on flat and curved surfaces. The wide Q-Switching range and pulse widths make the EV40 an ideal choice for high speed marking on delicate metals or plastics for variety of industries including medical and electronics. In addition, the proprietary software, Merlin, and optimized electronics make EV40 the best solution for many high speed marking on the fly (MOTF) applications on materials that traditional CO2 markers cannot mark. Circleville, OH – September 10, 2012 -- Telesis Technologies, a global leader in permanent marking systems introduces the MiniPRO Class 1 laser workstation enclosure. This workstation enclosure provides a more compact footprint for customers where floor space is critical. It is offered with any of our EVC, EVCDS, and FQ series lasers and is a complement to our field proven larger ProStation enclosure. Today's micro material processing consists of many applications such as laser marking, laser annealing and laser engraving, yet many end users interchange these terms. Our short course will help define what each is, as well as educate the audience about the best means to mark, engrave and anneal using conventional mechanical pinstamp and industrial lasers. It is very common to hear technology people in a discussion throw around terms like marking, engraving and annealing. This course will provide the audience with a firm understanding of what these are and the methods and technologies to perform each. 1) Define what laser marking, engraving and annealing are. 2) Understand what technologies are available, such as fiber, solid state and gas lasers. 3) Understand what alternative technologies are available for marking and engraving such as pinstamp. 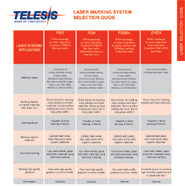 Telesis is the leader in Product Identification Marking with an extensive range of permanent, programmable, LASER, PINSTAMP® and TELESCRIBE® marking systems. Rockwell Laser Industries a worldwide provider of education and training, consulting services and laser safety products to industrial laser users. 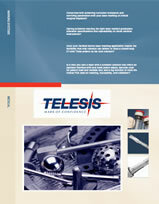 06/05/2012 - Telesis Technologies demonstrates flexible laser marking for the packaging industry. The first part of the video demonstrates QR code laser marking of cigar boxes that link aficionados to their products. These QR codes are specific to each of the different cigars that the customer may choose and the Telesis CO30AP marking system provides a fast flexible solution. The second part of the video shows a fully integrated Telesis MOTF (Mark On The Fly) high volume customer solution for commercial beverage bottle caps using a Telesis EV25DS. Telesis Technologies (Circleville, OH) has named CRS DATA SOLUTIONS as its representative covering Washington, Oregon, Idaho, Alaska and Wyoming. CRS DATA SOLUTIONS will be responsible for sales and service of Telesis’ Pinstamp, scribe and air cooled laser (gas, fiber and solid state) solutions for high resolution, high speed marking and engraving equipment. CRS DATA SOLUTIONS is a distributor of permanent marking, coding, labeling and scanning solutions. 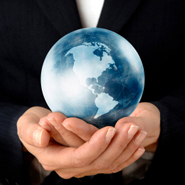 Headquartered in Portland, OR, CRS has branch offices in the Seattle Area and Salt Lake City. Telesis is among the global leaders meeting at Mfg4 2012, the new conference and exposition on supply chain solutions that cross sectors. Visit us in booth 1146 to experience our large-scale permanent part marking technologies driving aerospace, energy and medical device product identification. Telesis' product line has been developed by meeting a wide range of manufacturing demands. See us at ATX South 2012 - Telesis Booth 1505 to experience the broadest standard selection of permanent identification and material processing systems available in the world. 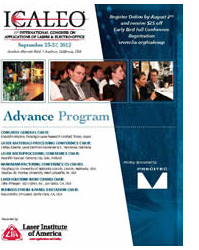 Telesis best-in-class permanent medical instrument part marking systems are at OrthoTec 2012, we will be demonstrating our exceptional laser marking solutions that are standardized to simplify the medical device manufacturing process, see us in booth 211.